Before you can enjoy your new Radiant Plans radiant heat system you need an efficient design. 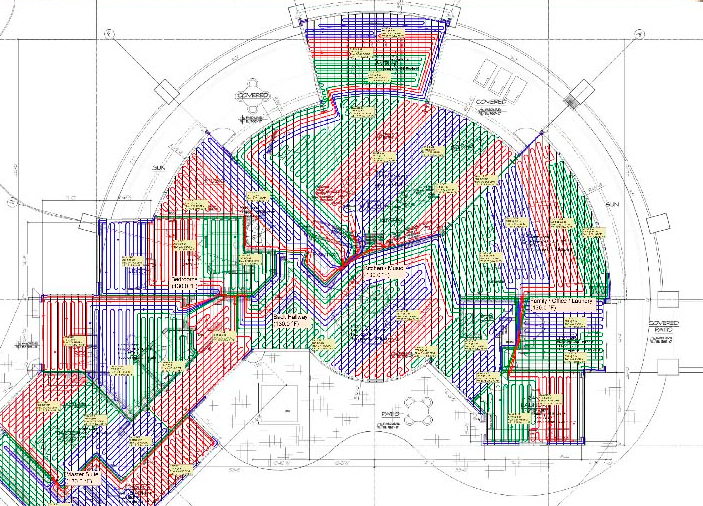 Design and engineering is the first crucial step in any radiant heat or snowmelt project. Luckily, we are the experts in design engineering for radiant heat systems. We’ll design a plan that maximizes energy efficiency, which will save you money down the road. Our Hydronic Radiant Heat Systems are not only energy efficient, they are well designed to give you peace of mind. Whether you need a fully engineered and manufactured system, turn key ready or just want an efficient set of plans that you can work from yourself, we are the ones to call. Energy efficient, comfortable heat; what could be better?